In 2018, Glass Worldwide conducted an international survey of manufacturers and processors of hollow, flat and speciality glass. Senior management and factory personnel with purchasing influence responded from a total of 24 different countries in Africa, Asia, Europe, Indian sub-continent, the Middle East, Oceania, North America and South America. 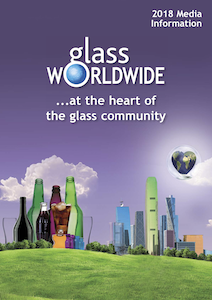 * More respondents found Glass Worldwide to be useful compared to any other competitive magazine (In fact, 100% of respondents found Glass Worldwide useful… 37% higher than the nearest competitor!). * 78% of respondents confirmed that the editorial and advertising content in Glass Worldwide and Who’s Who / Annual Review yearbook directly influences their selection of products and services. For more details on the survey and how you can take advantage, request your 2019 media information now or contact one of the team for a customised proposal.